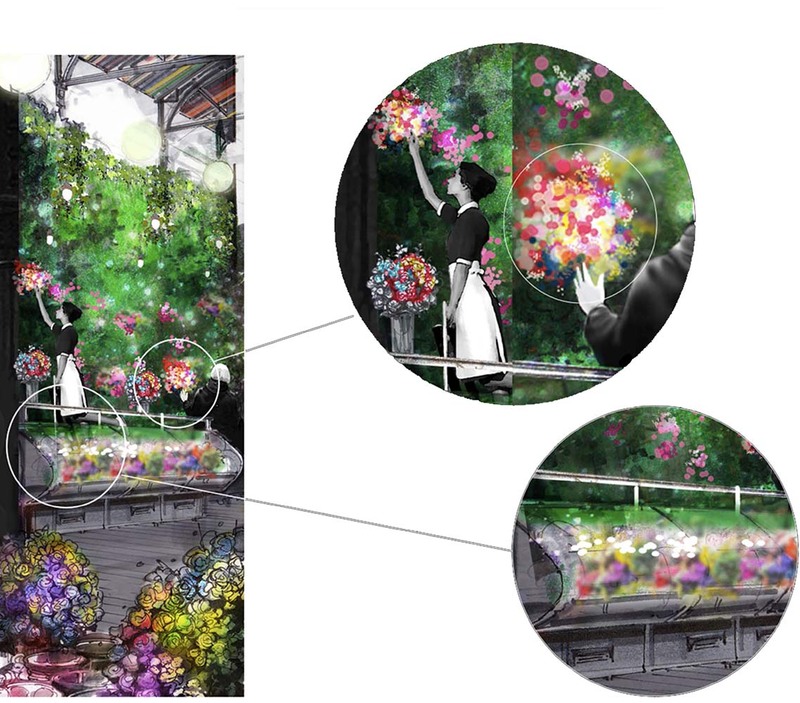 Our studio developed an innovative retail concept for a leading online florist, wanting to establish a physical presence. 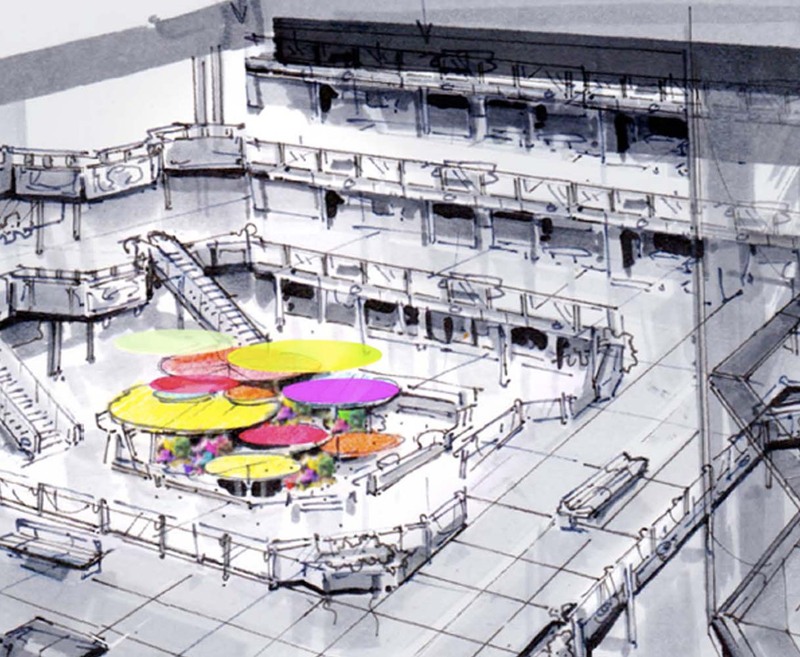 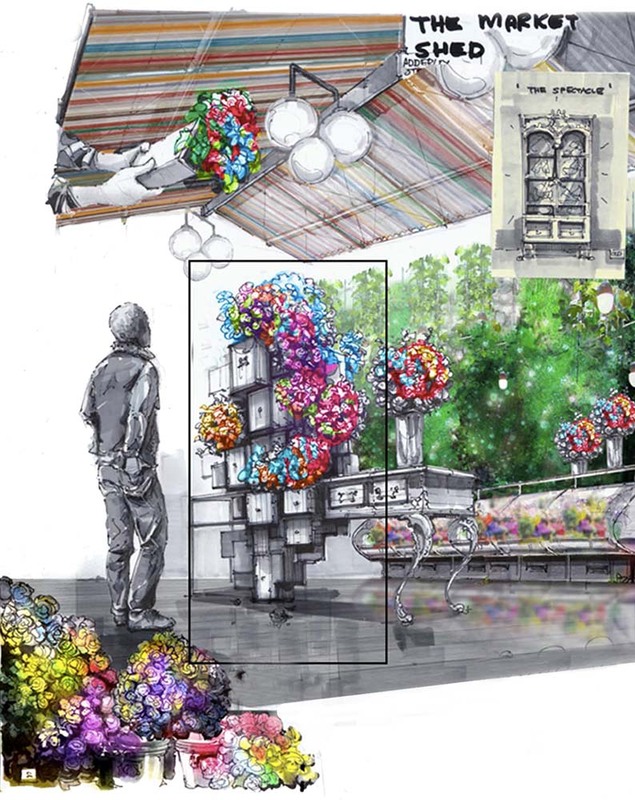 The design was inspired by a study of both modern and traditional market places, combined with a deli concept which reinvents the way in which flowers are displayed and sold. 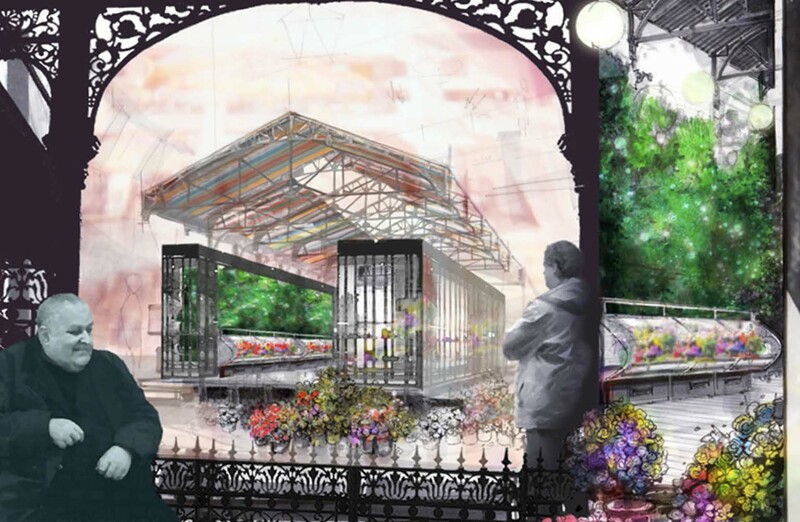 The four key elements of the design are the traditional market shed enclosure, reminiscent of a traditional market stall, the vertical garden wall where the flowers may be hand picked by the customer, the field of flowers displayed in the deli counter where the climate is controlled for longer shelf life, and the galvanized metal buckets, together with vertical display cabinets which provide ever-changing display opportunities. 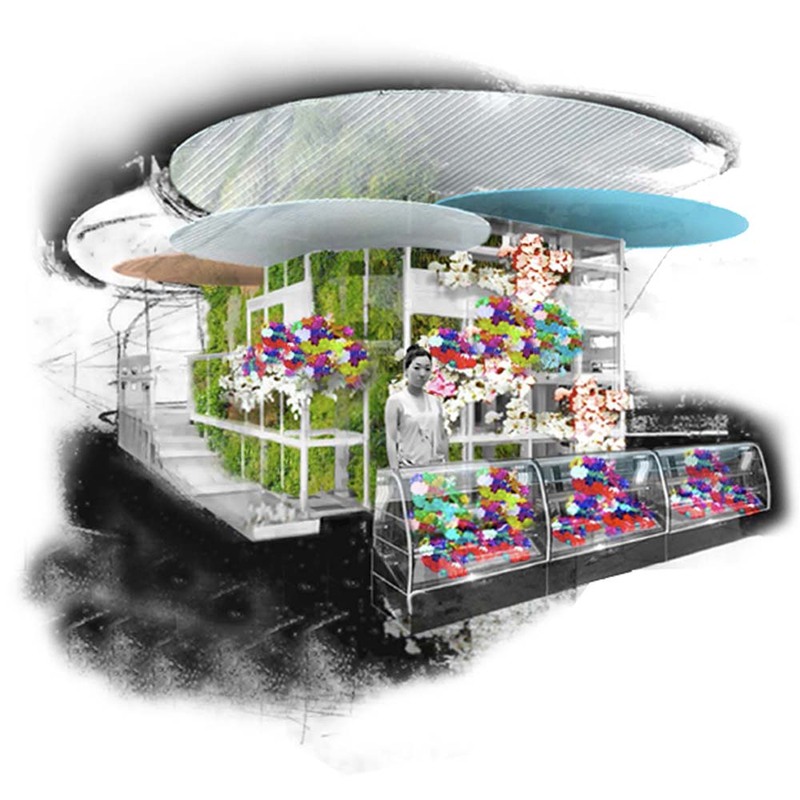 Collectively, the shopping experience is reminiscent of a contemporary food deli, drawing the customer in by stimulating the senses and encouraging engagement with the flowers.